The swimming pool contractors from Imperial Pool Builders in Decatur, Illinois are asked many times a week, “How do I keep my swimming pool clean?” One of the easiest ways is to work with a swimming pool service contractor, however there are many pool owners who thrive on do-it-yourself projects and because of that they are up to the challenge of cleaning the swimming pool themselves. It doesn’t need to take all day to keep your pool clean and the water bacteria free, but it isn’t a process that will take you five minutes, either. Caring for a pool is a big responsibility and also can be taxing especially when it comes to trying to keep the pool chemicals in balance. Many pool owners may try to keep the pool clean themselves and then find it either takes more time than they’d anticipated or that it is difficult to purchase and store the chemicals and keeping the chemicals in line may have them turning to a pool pro for the task. One of the reasons pool owners opt to work with a pool service contractor is that, bottom line, it costs them more money to clean and maintain it themselves. 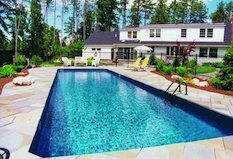 Pool owners may simply determine that in terms of time and money it’s best to work with a swimming pool professional for the upkeep and maintenance. Pool skimming. This must be done every day or every other day, less frequently if you have a swimming pool cover. Floating debris will sink and then it will be harder to remove and can also lead to algae and bacteria staining of the pool. Skimming off debris also makes it easier for your filter and pump to do their jobs. Using a swimming pool cover is a time and money saver — ask us about investing in a cover for your pool. The pool needs to be vacuumed at least weekly, more frequently if you don’t skim off the debris regularly and if you’re not using a pool cover. Brush the pool walls, behind the stairs and the pool floor before you vacuum. It’s necessary to brush off any bacteria or debris before you vacuum. The three types of pool filters: cartridge, diatomaceous earth and sand, all have different maintenance requirements and procedures as well as differing timelines on how frequently they should be cleaned. A dirty filter hinders water filtration. If you have a pool heater it will require regular maintenance and this will likely need to be done at the beginning and the end of every pool season by a pool professional or an electrician. The water needs to be tested regularly and new chemicals added when needed. A pool test kit is a necessary purchase for all pool owners. Ask us how to decipher the results of your pool water testing. Adding and balancing chemicals is a delicate act and having too many or two few of any one chemical can lead to hard water issues or even green, algae-filled water. At times your pool will need to be super-chlorinated, aka shocked, as a way to rid the pool water of organic contaminants such as ammonia or nitrogen. These contaminants and organic materials will interact with pool chemicals rendering them not as effective. If you think your pool water levels are going down more quickly than they would through splashing or evaporation, it may have a slow leak. It’s best to call a swimming pool service contractor to perform an inspection in the event you can’t see any area where water may be leaking out. A leaking pool can lead to structural damage. 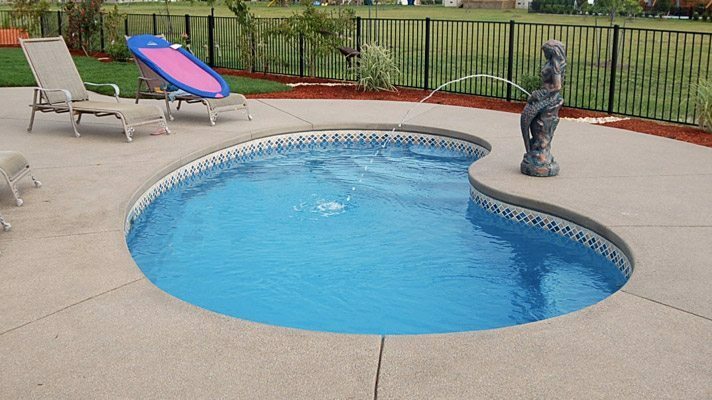 General pool equipment and structure inspections should be performed. Your pool contractor will note the pool pump pressure levels. He will also check that any diving board or slide is firmly anchored. An inspection of pool tiles and pool equipment functionality is also done during pool service visits. If you want to take on the task of pool maintenance, ask us for an on-site training to help you get up and running on caring for your pool.